At Singing Unlimited, Anda is a priceless treasure! She is one of the founding members of the chorus which began in 2013 with ten members – all with a healthy dose of trust and belief that their venture could only succeed. Anda was the driving force in the whole process. Besides rolling up her sleeves and getting on with the job in hand, she always manages to draw the best out of people by way of encouragement and motivation. Anda started her barbershop career as a member of the Flying High Singers in 1996. She has many talents and without a doubt the continued growth and blossoming of the chorus is more than a little due to her tireless devotion. Within the chorus itself, Anda fulfils many roles. She is chairman of the board, assistant director, leader of the bass section and a member of the convention committee. Anda is a sounding-board for many members and above all a fine role model and inspiration for the younger, more inexperienced singers. She has a positive attitude and her style as chairman of the board strives for consensus in decision-making. One of Anda’s ground rules is to protect and preserve harmony. Anda is a woman of note because she contributes so much to the chorus and is responsible for their exceptionally positive attitude. She is a true representative of the values of Sweet Adelines, creating opportunities for and strengthening the role of women in society. She does this in her own specific way: singing in harmony AND having fun! 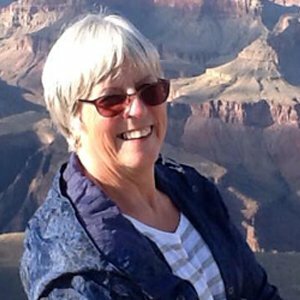 Brenda joined Heartbeat over six years ago and throughout this time she has been a steadfast member – a regular and reliable attender, always “on it” with her vocals and expressive visuals and choreography. With her beautiful musicality and wonderfully rich bass voice she has been an integral part of the chorus’ renowned bass section and a key contributor to its success. She is also sings with Mayhem quartet who competed in 2013 and 2015. 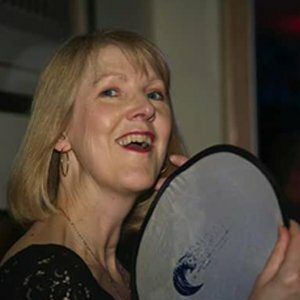 Brenda has had a long and illustrious career in barbershop, having begun over 20 years ago with Crystal Chords and spending several years with multi-award winning Cheshire Chord Company. Her passion for the genre also led her to membership with the highly successful LABBS (Ladies Association of British Barbershop Singers) quartet Lipsync. She has been, and still is, a fantastic role model to her daughter Suzanne, who also sings with Heartbeat and was the lead in Domino quartet. Her husband Terry sings with BABS (British Association of Barbershop Singers) champions Cottontown Chorus. Brenda has been a determined and resourceful leader of the dress team. Her tenure saw her having to source not only the new walkout gear, but also a new stage outfit. In the end, she designed the beautiful blue outfits herself, which received critical acclaim at their first outing at the Sage. Brenda’s creativity manifests itself not only in her musical ability but also her professional hairdressing skills, which are highly valued in the chorus. Putting others before herself is typical of Brenda. She is positive, calm in a crisis, kind, warm, funny, modest and unassuming to a fault, quietly going about her business. All these attributes have come sharply into focus this last year, which has seen Brenda battling a serious illness which was diagnosed just before convention last year. Being the trooper she is, Brenda chose to defer starting much needed treatment until after convention and took to the stage with none the wiser. 2016 has been a very difficult year for Brenda but her singing has helped her through it – she rarely missed a rehearsal as it helps her maintain some sense of normality and gains strength from the friendship and support of her friends and fellow chorus members. Cynthia Tucker is the much loved and respected Musical Director since Somerset Hills Chorus began. At 85 years old, she is possibly one of the oldest directors in all of Sweet Adelines International. The chorus members are proud of the fact that Cynthia has guided them for more than 23 years. Under her direction the chorus has achieved several awards in the small chorus category at regional competition gaining fifth place overall on three occasions which thrilled Cynthia even more! She has also tasted success of her own with various quartets representing the region four times at international level . Cynthia has always given her time to the chorus both generously and freely. Her home has always been open for coaching, both individuals and sections, giving many hours of extra time, with Bob, her husband, at her side always as her fifth ear and tea maker. She set a high standard from the start and never wavered from it, yet is still able to be a friend and be “one of the girls”. Truly an amazing role model. Cynthia is the proof that there is still so much that is possible for the young-at-heart. Women like her are definitely great ambassadors for Sweet Adelines International. Fiona is the hardest working person to many people. Not only does she sing (and hold team management roles) with two choruses and a quartet, but she has served on the Regional Management Team (RMT) for many years in different roles. She has been a key player in the delivery of well-organised conventions. And she does all these things with amazing enthusiasm and energy. She is thoughtful and considerate and freely offers her time and considerable ability, not only fulfilling the requirements of her various commitments, but going over and above to achieve the best possible result. 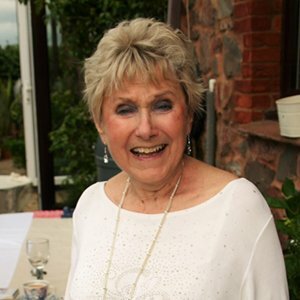 Her knowledge of the workings of Sweet Adelines is wide and she has never failed to deal with a query – if she doesn’t know the answer she will know someone who does! She will blush to hear glowing comments about her as she is modest and does not seek recognition or reward. She is dependable, kind and is always prepared to give practical and emotional support. 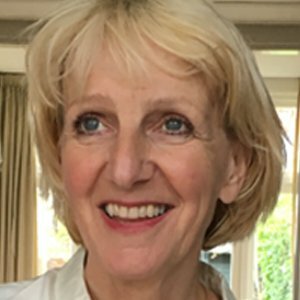 Fiona finally had to step down as Team Leader of Cambridge Harmony in 2015, having worked (for as many years as she was allowed) to keep the chorus in order: chairing meetings, driving projects, organising events, arranging coaching, booking hotels, sorting out travel and meals for convention and workshops, and generally keeping everyone inspired and motivated with her goodwill and enthusiasm. She is also a vital member of the tenor section. As a quartet member, Fiona is largely responsible for the outrageous metamorphosis of Footlights from run-of-the-mill quartet into four mad old ladies who certainly know how to have fun, with or without an audience! On the understanding that laughter is a good vocal warm-up, she ensures they make the most of every opportunity to laugh their way through rehearsals and love her wicked (and infectious) sense of humour. Fiona epitomises the ethos and qualities that Sweet Adelines promotes and is a marvellous ambassador for Region 31, both as an RMT representative and as an ordinary member of this great organisation. Karen is a total godsend for Forth Valley Chorus. She takes multitasking to a new level. Karen is tireless, helpful, and incredibly sensible. She is relied on a lot for numerous admin tasks and trust her to bounce ideas off. She also shows initiative and never makes a fuss. Her dedication to the chorus is supreme. Whether the tasks are fun, boring, difficult, time-consuming, rewarding or thankless, all are handled with the same efficiency and good humour. In her dealings with members (and in a large chorus, she knows who everybody is) she has that rare gift of combining kindness with firmness, and thoughtfulness with practicality. Karen is the rock on which that well-oiled machine, Forth Valley Chorus, sits. Her planning is exemplary and her ability to see through, round and over every problem thrown their way is awesome! Each management and music team has benefitted from her skills and tact and each member is kept informed and involved. She maintains learning tracks, sorts out regional and international competition paperwork, files all chorus minutes and important documents, sends out all chorus emails, ensure her husband videos all choreo and coaching sessions and spends hours editing these videos herself for sharing with the rest of the chorus. It is hard to remember a time when she was NOT doing something for Forth Valley. She is also a superb section leader – she is always “on”. Karen keeps the baritone section right with music, sending out musical pointers, and fixing notes and words from the risers as only a bari can. She is hugely supportive of new members of the chorus – looks after them at convention, shares a room with them and generally takes them under her wing. Karen is so continually helpful, both on and off the risers. She is a true and shining example of everything a Sweet Adeline should be! When the Lace City first chartered in November 1996, Kath was proud to become a member of Sweet Adelines International. She is a very active chorus member and highly involved in chorus management. 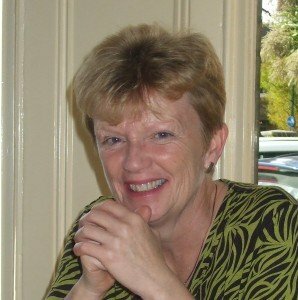 For many years, Kath led the membership team, working tirelessly to provide pastoral care to new members ensuring they are supported when joining the chorus. Last autumn, the chorus ran a community singing course that attracted a staggering 100 women of all ages. Kath did all the administration for this event and those that subsequently joined the chorus cannot praise her enough. She coordinates the logistics of regional and international conventions giving endless time, patience and energy, sorting and organising the chorus. She took on the difficult tasks of bookings hotels, rehearsal rooms, meals, afterglows and travel plans. Her organisational skills were incredibly tested in 2005 when Lace City Chorus was preparing to represent Region 31 in New Orleans. She had already booked hotel rooms and flights for every member when Hurricane Katrina hit five weeks before. She then took on the mammoth task of reorganising everything in those few weeks! All members owe her immense gratitude for that … and all conventions since. She has done so much for the chorus with so much effort and energy. She has given an endless supply of warm friendship, topped off with a lovely sense of humour, that is appreciated by all chorus members. Pauline embodies everything that this organisation stands for. She is the most reliable person one could ever come across and you can count on her for almost anything. This year alone she organised the chorus in a way that has made their lives richer and a lot easier. She organised the retreat weekend to a local hotel, ringing around every hotel you could imagine until she found the best deal. She also made sure everyone were adequately fed and watered the entire time. Pauline joined Milltown Sound in July 2013. She quickly became the life and soul of the chorus by being there for everyone. She works hard to do what needs to be done, she makes sure everyone feels loved and appreciated. Pauline was given the task of finding a place for the chorus to eat after the show on the Saturday of convention. Within days she had it booked and had menus to choose from by the next rehearsal! The hotel where the chorus was staying has nowhere to rehearse on the day of contest so Pauline made sure they have a rehearsal room at The Sage, negotiating carefully to ensure they have adequate time and space to warm up. Pauline is also “Mrs Gift Giver”. Not only does she organises birthday cards but has also given everyone in the chorus car window stickers and a Milltown Sound pen. She has also provided a beautiful trophy to be awarded annually to the “Millie of the Year”. Pauline is waiting for a knee replacement. She struggles to stand for long periods but this does not stop her coming to rehearsal week in, week out. She is the heart of Milltown Sound. One word sums up Valerie Taylor: inspirational. In fact, there is a brick in the patio at Sweet Adelines International headquarters which says “Valerie Taylor, our inspiration” which was a gift, presented with love, from Vocal Dimension Chorus (VDC). Valerie is the director of VDC and consider themselves so incredibly lucky to have her as leader. Val is a talented musician and educator and shares her knowledge and expertise with the chorus in a way that makes learning an absolute joy. Valerie has led this small but mighty chorus from its beginnings just six years ago and helped to achieve more than they ever thought they could. A high point was representing Region 31 on stage in Baltimore at the 2014 International Harmony Classic contest. Valerie also represented Region 31 in Baltimore as the baritone of Domino, the Region 31 quartet champion of 2014. Valerie has enormous passion for Sweet Adelines International and its ideals. Her energy is boundless and her own enthusiasm for learning means that she always has plenty of knowledge and experience to share with her chorus and with Region 31 through coaching, education and mentoring. 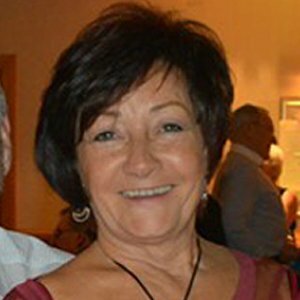 Val has been a Region 31 educator since 2006 and as well as presenting various classes at educational events has successfully mentored many people through the Director Certification Programme. Everyone was very proud of Valerie when she qualified as a Sound Judge – the first one in Europe! She now regularly judges regional contests around the world and Valerie’s engaging and infectious personality has meant that she has developed great relationships throughout the Sweet Adelines global organisation. Valerie has coached numerous quartets and choruses throughout the region and beyond. In particular, Valerie has mentored three choruses in Germany as part of the Worldwide Liaison programme, and earlier this year was thrilled to be asked by international headquarters to take on the role of Worldwide Coordinator for Europe. 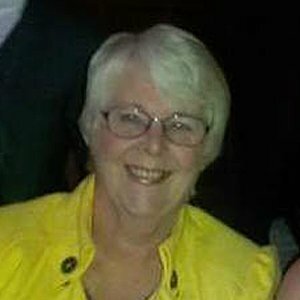 Valerie has been a tireless ambassador for Region 31 within the Sweet Adelines organisation, served in two different roles on the Regional Management Team and was instrumental in setting up Barbershop in Harmony. 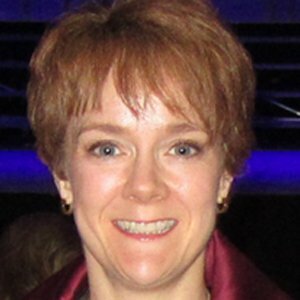 She has also undertaken various roles within the International organisation, including involvement with the International Editorial Review Board, the International Task Force for Regional Boundaries and the International Nominating Committee. It is easy to list Val’s achievements and qualifications but on top of those amazing credentials, she is so much more than that. Every single member of VDC would personally count her as a friend. She provides friendship and support to all. Whether it be a serious health issue or a crisis of confidence in performance skills, Valerie is always there with a wise word and a hug! VDC’s motto is “making music and having fun doing it” and this is what Valerie is all about. While the chorus wants their performances to be the best they be can technically, Valerie ensures that the ultimate focus is on sharing the music with others and feeling the joy within it. Winifred, or Win, is certainly Sheffield Harmony’s Woman of Note. 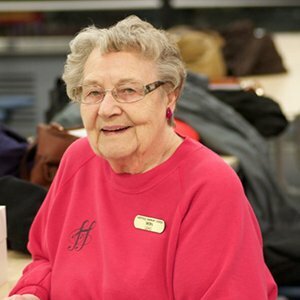 A barbershop member for 35 years and at the age of 93, she never misses a chorus rehearsal if she can help it. Whilst she no longer sings in the chorus, she is their number one supporter, offering praise and constructive criticism in equal measure. Win is a long-standing member of the Board and the Dress Committee. She can recall every costume ever worn by Sheffield Harmony Chorus, even designed and made some in the past! She is also the Events Coordinator and for many years (including this one) has organised the chorus’ accommodation and travel arrangements for convention as well as many other social events. Win attends convention every year. Unfortunately she is unable to this year due to illness but if she could she would be here offering her opinion on every convention entry! She is the most thoughtful person and shows concern for every member of Sheffield Harmony. She hosts every Board meeting in her home and recently she presented Sheffield Harmony with turquoise scarves to brighten their singouts. Win is a remarkable lady! 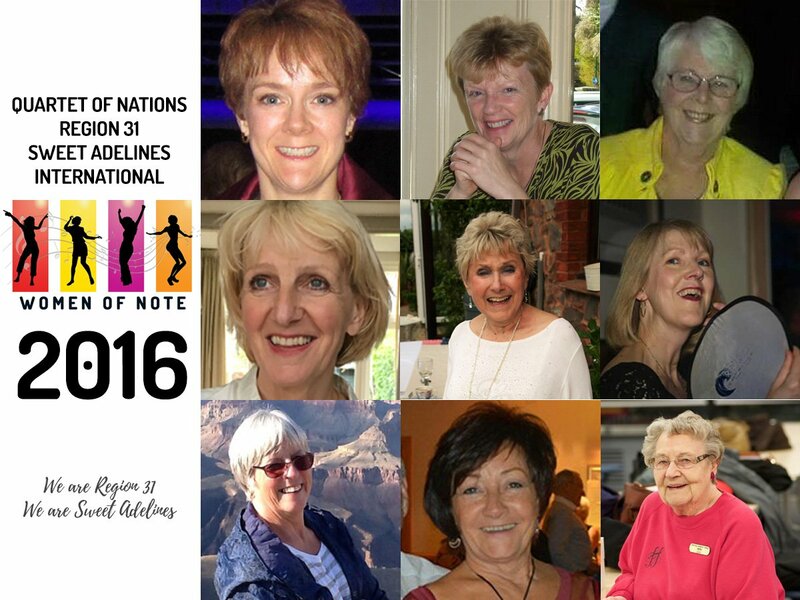 ...who should be recognised as a Woman of Note?